Note that in the design process things turns to get simple. 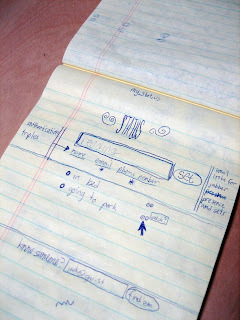 The first sketch of Twitter, it had more functions than nowadays and also is more complicated. As the site grow in popularity, I'm sure the engineers measure the user behavior, and starting removing features and turning it more simple, till get the Twitter we have today.